EP9: Are You Wired to Win? 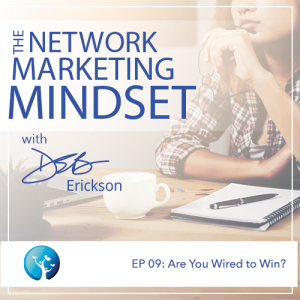 In the latest episode of The Network Marketing Mindset Podcast, Deb relates a story that reveals how we all set ourselves up to win or lose before we even get started. Our self-talk about what we believe will happen actually determines whether or not we’re wired to win. The good news is, if we aren’t (yet), it’s possible to change our wiring to stop the disappointing results we’ve probably been experiencing for a while. Get ready to learn why what we say to ourselves is… everything!